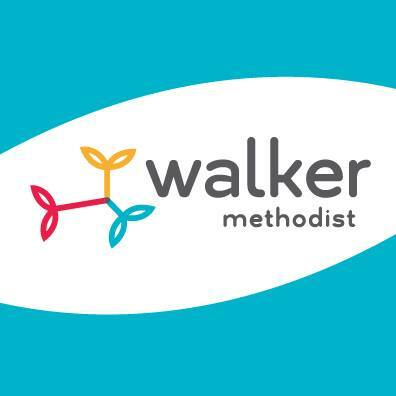 All of us at Walker Methodist are both proud and excited to announce our partnership with the MUSIC & MEMORY℠ program in an effort to bring music to our senior living communities. This amazing program introduces a way to bring music into the lives of people, specifically those with Alzheimer’s or dementia. Music has been linked with slowing memory loss, increasing recognition and recollection, and overall enhancing the lifestyle of residents using the program. What is MUSIC & MEMORY℠? By providing access to music and education to staff, and by creating a network of MUSIC & MEMORY℠ certified facilities, they aim to make this form of personalized music a standard of care throughout the health care industry. In 2006, Dan Cohen founded MUSIC & MEMORY℠ based on a simple, but profound realization: Someday, if he ended up in a nursing home, he wanted the assurance that he would be able to listen to his beloved ‘60s music. After pondering his love for music and hearing about iPods and their popularity, Cohen thought ‘why not bring used or discarded iPods (as well as new ones) into nursing homes to provide music for residents?’ After discovering that none of the 16,000 senior communities in the U.S. provided iPods to residents, Cohen began to volunteer with a senior community in New York where he created personalized playlists – the program was a huge hit. Since then, personalized music programs have been implemented in hundreds of communities across the United States and Canada. In April 2012, MUSIC & MEMORY℠ produced a feature length documentary entitled, “Alive Inside” that showcases the effects of music to improve the quality of life for those impacted by the program. For a glimpse of this documentary and the stories it shares, click here. How Did Walker Become Certified? The MUSIC & MEMORY℠ program is simple, but extremely effective. They train elder care professionals, as well as family caregivers, how to create and provide personalized playlists using iPods and related digital audio systems that enable those struggling with Alzheimer’s, dementia, and other cognitive and physical challenges to reconnect with the world through music-triggered memories. As a MUSIC & MEMORY℠ Certified Care Facility, the Walker Methodist team of professional caregivers have learned the best practices for how to set up and manage a system for providing a personalized playlist for any resident who may benefit from it. Through a series of three 90-minute webinars, taught by MUSIC & MEMORY℠ founding Executive Director Dan Cohen, our team was enabled to create a facility-ready iTunes library, efficiently manage many resident playlists, handle equipment and security concerns, integrate personalized digital music into daily care plans, and evaluate the program’s effectiveness. By adequately providing musical favorites, music is able to tap into memories not lost to dementia, and essentially awaken seniors and bring them back to life – enabling them to feel like themselves again, carry on conversation, socialize with those round them, and live in the present moment. With the support of the MUSIC & MEMORY℠ program, we have developed the Miracle of Music campaign. The Miracle of Music works to raise funds and put iPods and music into the hands of our senior residents who are suffering from Alzheimer’s and other forms of dementia.